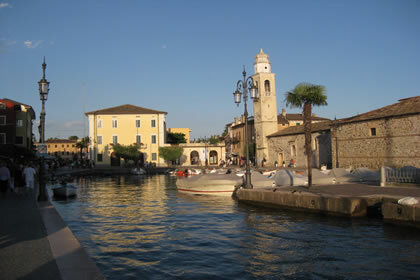 Lazise is considered the first free town of Italy, since the tenth century it got the right to collect certain taxes by the Holy Roman Empire, such as transit and fishing fees, along with the autonomy in the fortification of the castrum. This town maintained such privileges for most the course of its history. 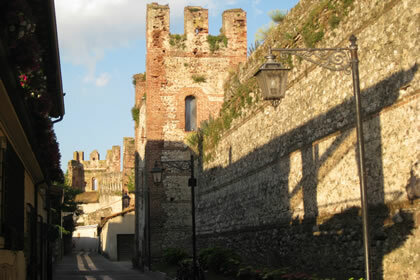 The magnificent Castello Scaligero and the old wall that houses the old town were built in the fourteenth century, and some of its cracks are today in good condition. 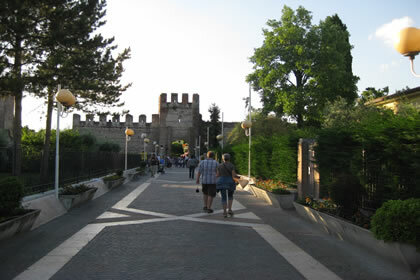 The access to the ancient village was through three gates that had drawbridges. 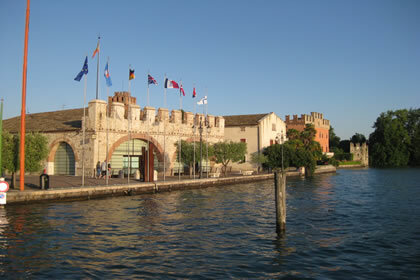 At the old port is the 900 square meters stone-building which from 1600 housed the Venetian customs. 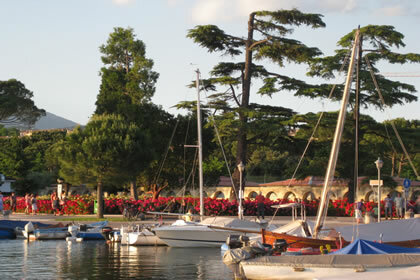 From here you can find picturesque streets full of typical cafes that make the historic center beautiful. 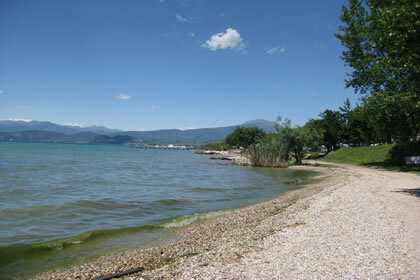 The beaches, which have shingles and sand, are very comfortable and well equipped; moving away from the coast the moraine hills rise slightly from the plains, these gentle slopes are partially covered by numerous vineyards, whose grapes make excellent wines, benefiting also from the privileged position they have to be exposed to the sunlight. 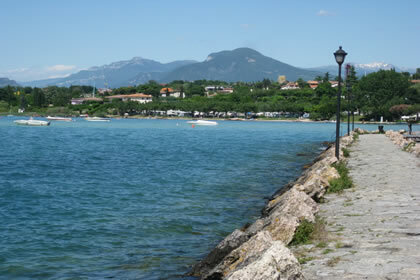 Colà (Thermal baths), which is immersed in the green landscape of the village is a popular destination for many tourists. 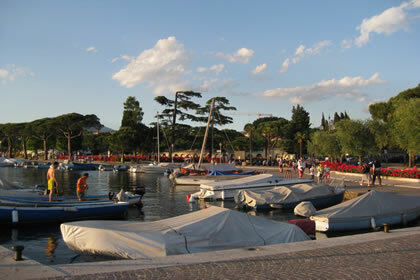 In the town of Lazise are amusement parks like: Acqua Paradise, Medieval Times and Movieland, and nearby you can find Gardaland, Parco Natura Viva and Sealife parks. 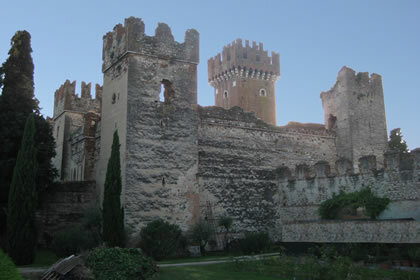 Scaliger Castle, Venetian customs, Church of San Nicolò and Colà Spa. 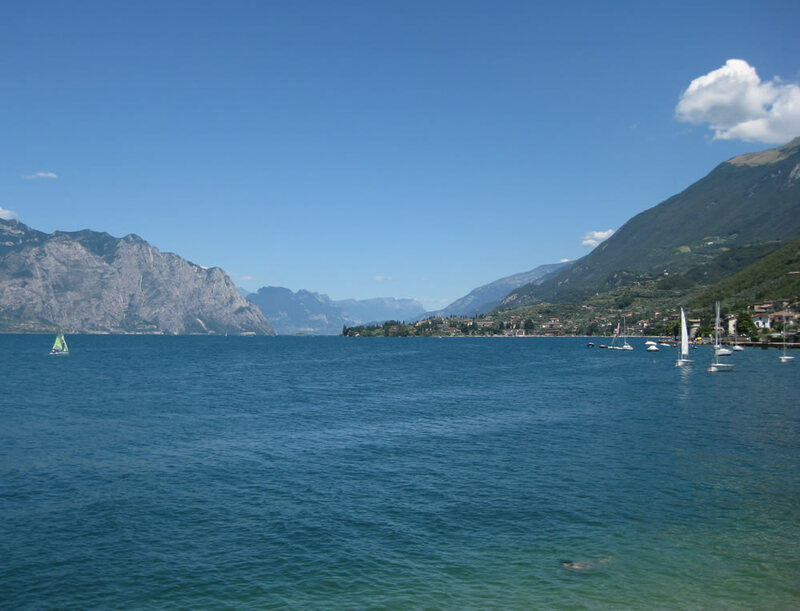 May: historical re-enactment of the "Privilege of Ottone II"
July: Feast of the threshing and plowing. July and August: Feast of the Host and Sports. August: Ancient feast of Our Lady of the Snows. October: The days of honey, national fair of Italian honey. 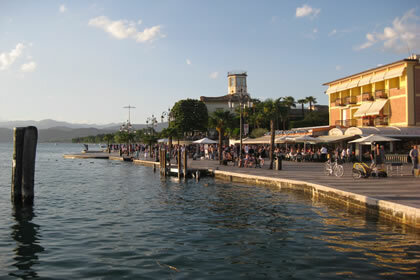 October: Dishes and Food, the oil of the lake, trade show and tasting. 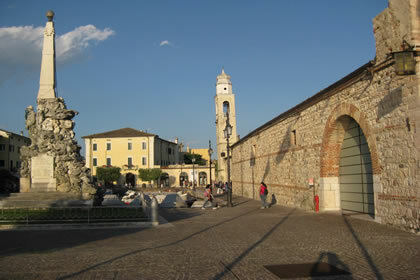 6 November: Feast of San Martino. December: Feast of St. Lucia and St. Barbara. View all events and their dates. 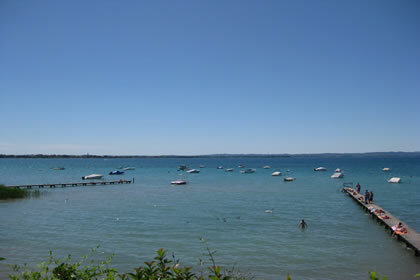 Sailing, canoeing, diving, water skiing, cycling, north walking, beach volley, riding, tennis.